I was cutting dadoes in some Baltic birch plywood and I noticed that my miter gauge seemed a little sloppy. So I pulled it out of the slot for a closer look. 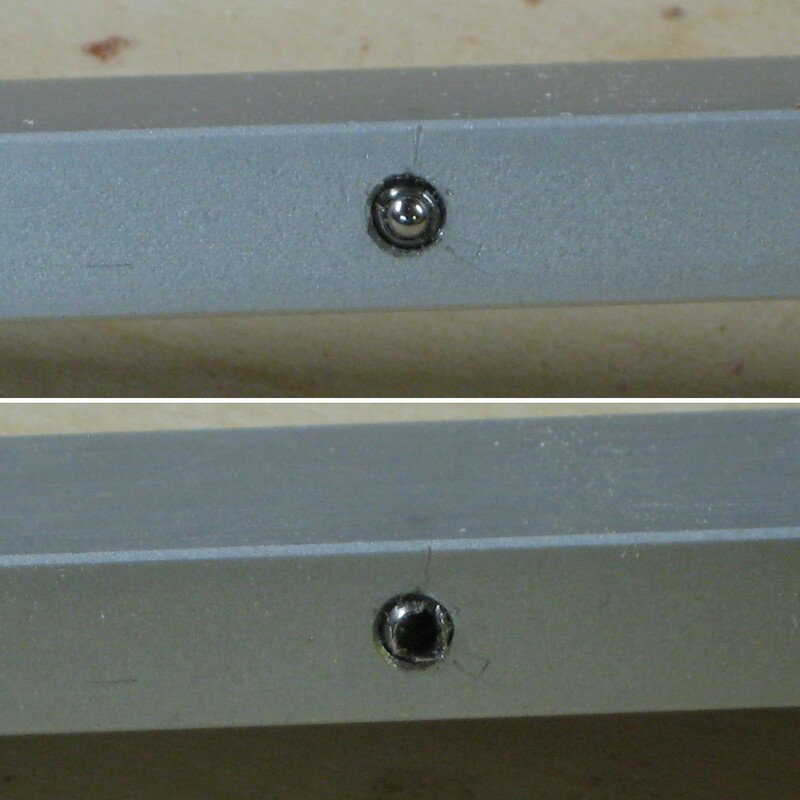 I was surprised to find that one of the balls in the ball plungers I had installed to tighten up the miter gauge had disappeared. Lucky I purchased a few extra. A few minutes searching for the spares and a few twists of the screwdriver and I was back in business. It does make me wonder whether using ball plungers was the right solution. They are rather pricey little do-dads, especially when you factor in shipping. Maybe next time I’ll try using some larger ones like 1/4″ rather than #8s. 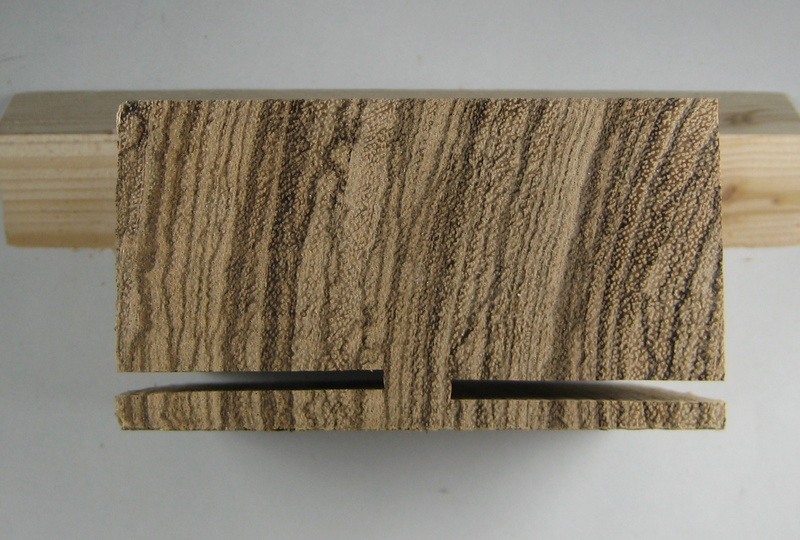 Resawing a Zebra Wood Block. 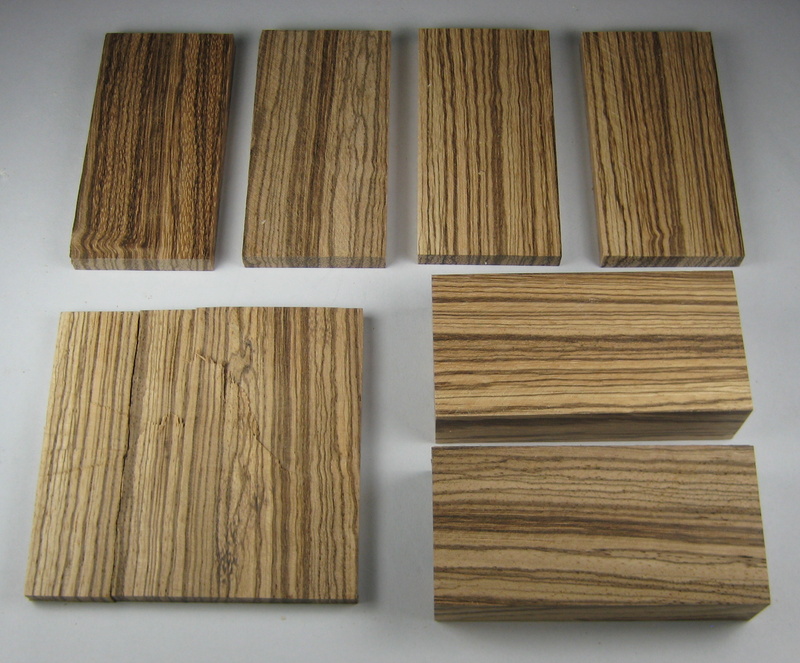 Last time I was at Rockler I picked up a 4″ x 4″ x 2″ turning blank of zebra wood for my scrap wood collection. I’ve been trying to expand my experience by working with different types of wood, so I’ll try to bring home a different species every time I stop there. Since I was so please at how my decorative box turned out, I thought I’d resaw the block to make some 1/4″ stock for a box. Due to the grain, I couldn’t just take slices off the edges, I needed to cut from the top or bottom faces. Since the piece was so small that I didn’t feel comfortable using the fence, I tried using the miter gauge. Well there must have been some twist when I had to power the block thought the blade. As you can see from the above picture my cuts didn’t quite line up. I sawed through the middle to remove the piece and tried another approach. This time I split the block in two pieces so I could then turn the smaller blocks 90 degrees and cut strips from the edge. 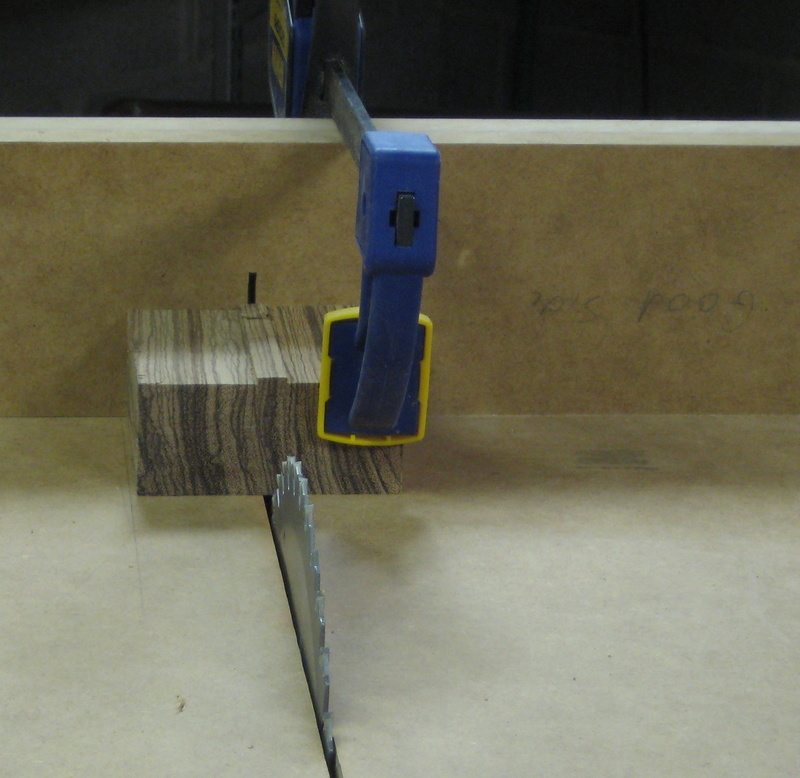 Using the miter sled I was only able to cut four 1/4″ wide strips from the two blocks. I’m sure If I would have thought about it for a while I could have come up with a safe way to use the rest of the block to cut more strips, but I think I got enough for maybe a small ring box.